How are the world’s forests changing? 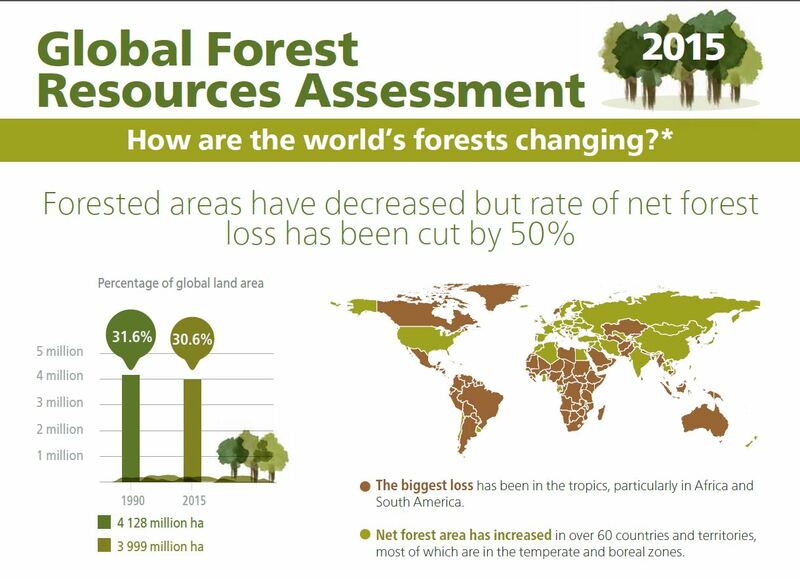 Forested areas have decreased but rate of net forest oss has been cut by 50%. - The biggest loss has been in the tropics, particularly in Africa and South America. - Net forest area has increased in over 60 countries and territories, most of which are in the temperate and boreal zones.